What is it like to be sued for medical malpractice? Bad medical outcomes traumatize patients but they also traumatize physicians. The litigation that often follows is a profoundly human, rather than just a legal experience. Although every physician's case is different, this book shows how each case goes through the same judicial stages of complaint, discovery, depositions, motions, and delays that lead to trial, settlement, or being dropped. It also gives doctors an understanding of how lawyers think and work to help defendants. 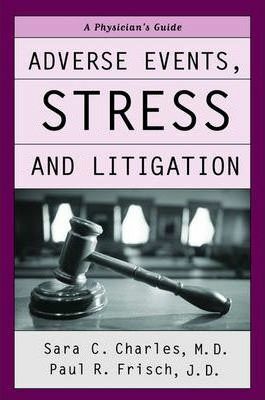 Written by a physician and a lawyer, the book provides unique insights - through real-life stories - into the personal experience of litigation as well as recommendations for dealing with each of the legal process. It also includes up-to-date reviews of HIPAA legislation, the controversial subject of disclosure, and recent developments in the law affecting medical practitioners. Only about thirty percent of plaintiffs win their cases against doctors, but the journey from bedside to witness stand tests both the personal character and the professional skills of those accused. This well-documented book will help doctors understand and navigate the legal system while honouring their own ideals and emerging changed but stronger from the experience.